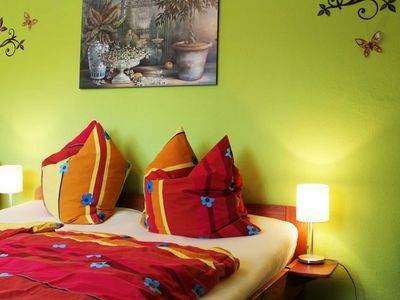 The 1 - room - apartment is located in the basement of a private family house in the idyllic castle town Kl����������������������tz. 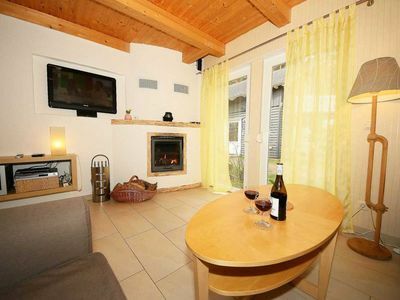 The cozy accommodation has a separate entrance and is designed for about 20 m² for up to 3 persons. The combined living room and bedroom has a double bed and a single bed. A coffee corner there is also (TV). The separate kitchen is, inter alia, with a 2 -.. Plates - stove, refrigerator (with freezer), coffee maker, toaster, microwave, water and egg cooker. In the kitchen is also located the dining area. A shower completes the apartment. Garden: here there are ways to relax in. So you can relax wonderfully on the seating right in the garden. Seating Area in the house: here there is a small möbiliere terrace where you eg can start with a breakfast in the fresh air in the day.. Parking: is available at the house. 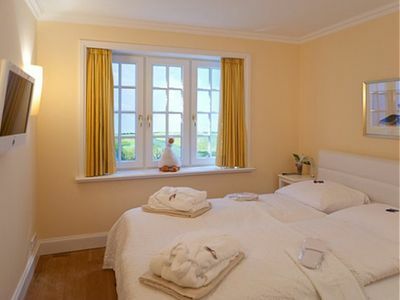 Sheets and towels: are provided in the apartment and the total tour price. Pets are not allowed. Cot and high chair: be happy provided free of charge by appointment. 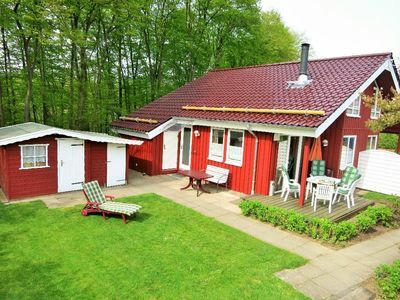 In total trip price inbgriffen: final cleaning, parking, utilities for heating, water- and electricity, linen and towels (one time), on request: Providing Cot and high chair. Welcome to the idyllic castle town Klütz. The 1 - room - apartment is located in a private house in a quiet suburban location. It is a very good starting point for excursions in the city and in the region "Klützer angle". Whether on foot, by bike or by car: many interesting targets are reached quickly and comfortably. The Apartment: is designed for up to 3 people. It is located in the basement of a detached house and has its own entrance. The idyllic garden invites you to linger. 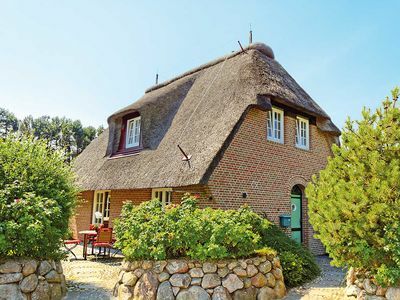 Location: The small town of Klütz is located in northwest Mecklenburg, between the Hanseatic cities of Wismar and Lübeck on the Mecklenburg Baltic Sea coast, just 3 km from the Boltenhagen. Beach: to the long, manicured Boltenhagener sandy beach is only 3 km, on a bike path you can be on the water so even without a car in a short time. The Baltic Sea is ready with a long pier, a park, a promenade and numerous cafes and restaurants and small shops to its guests. Leisure Activities: in Klützer angle there are numerous beautiful places and places to explore. 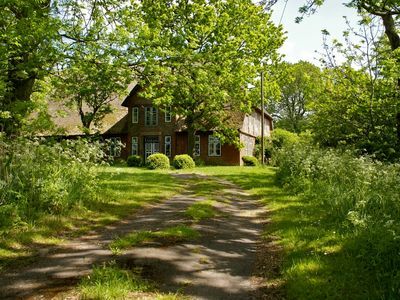 Klütz: Here we recommend a visit to the castle Bothmer. 2015 Castle Ensemble was opened after years of restoration. The whole area with a museum and café is well worth seeing and one of the nicest in Mecklenburg Vorpommern. The park is perfect for a leisurely stroll. 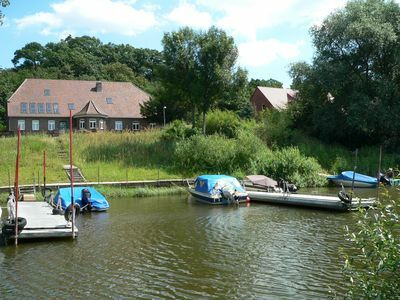 Bolton: In the district of Tarnewitz there is a marina (Marina White Wiek). Enjoy here a coffee or a piece of cake on one of the restaurant terraces overlooking the water or stroll on the long promenade. Tip: There is also the old fishing port. Fresh fish there from the cutter! 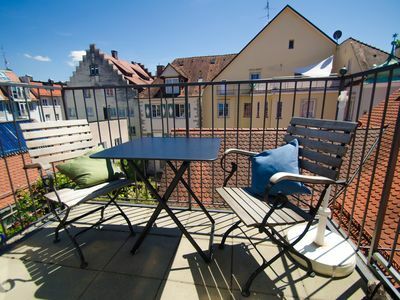 Day trip: We recommend in the city of Wismar (20 km). Stroll through the historic center, a UNESCO World Heritage since 2002, and marvel at the imposing brick churches and lovingly restored town houses, for example, around the market. At the port there can be strolling wonderful ... here there are many restaurants that offer local delicacies. Shops: Klütz You have the choice between several supermarkets (600 m). There is also in the castle town of smaller shops, as well as a pharmacy, a bank, butchers and bakers. 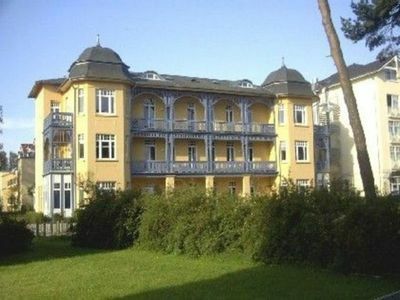 (165) 2-room apartment Ostseeallee - Appartmenthaus "Sonnenresidenz I"
50 / 00A house on the beach, App. Beachfront - "House on the beach, App. Beachfront "